I begin today’s piece with some interstitial, introductory discussions on a myriad of topics. And then I discuss my latest hero. 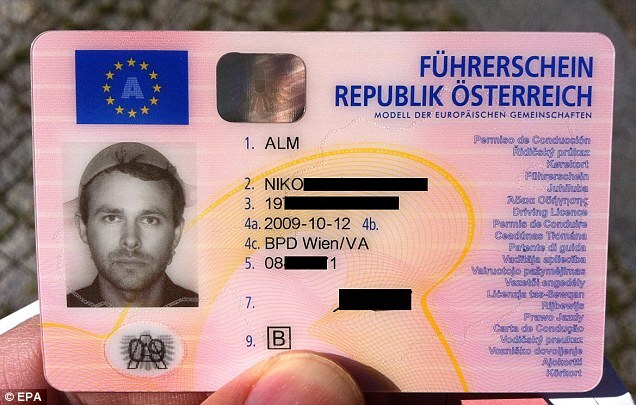 Austrian Niko Alm, is a self-professed Pastafarian and member in good standing of The Church of the Flying Spaghetti Monster. Three years after applying for a new driver’s license, he finally received the official laminated card. And the picture infra shows him sporting a pasta strainer on his head, sideways, of course. He insisted upon wearing the headgear as, Mr. Alm assured authorities, it is a part of his faith system and qualified as such as it was “confessional headgear” as contemplated by the EU and Austrian regulations. Accordingly, the intrepid Alm sent his application for a new driver’s license in 2008 along with a picture of himself with a colander, er, confessional headgear on his head. And he waited. And waited. Voila! Adding insult to considerable injury, Austrian authorities demanded that Alm suffer a further indignity and receive a psych eval to determine whether he was mentally fit to operate an Austrian motor vehicle. He did and passed with flying colors. How many New York cabbies could claim that? The Church of the Flying Spaghetti Monster, according to its website, believes inter alia that “pirates, the original Pastafarians, were peaceful explorers and it was due to Christian misinformation that they have an image of outcast criminals today” and they are “fond of beer.” He now wants to apply for Pastafarianism to become an officially recognized faith in Austria. How dare anyone suggest what is and isn’t a legitimate source of authentic faith. To me authentic faith is like authentic magic. But my opinion is not what matters nor does the government’s. The bottom line is that we must accept your faith on, er, faith. No matter who utterly ridiculous it is. Amen. ← LIONEL FREE PODCAST: Trillions In Foreign Bank Bailouts And Nothing For 9/11 First Responders? !